I see you have a lot of experience and I have a question if you have a little bit time for me. I managed to buy a Stylus Pro 3800 (250 printed sheets). Unfortunately, 3 channels show only a few nozzles sometimes - LLB, C and M. Cleaning with ammonia-based preparation and standard head cleaning do not work. How would you do in this situation? Is it effective "Ink Charge" with Adjustment Program? Ink stained Fingers likes this. Sorry for this very much delayed answer to your question. 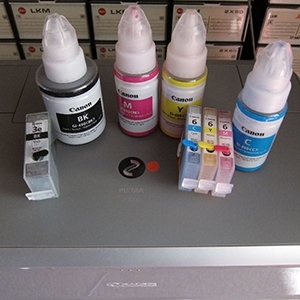 Excellent inks, good prices and service! I saw that you did various tests of INK DYE ... I have an Epson Photo 1400, and use inks of Fotorite ..
from your tests do you recommend some other brand that will be better, or remain on those?